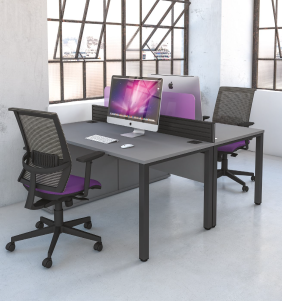 Introducing Imperial’s Pure Range a modern take on affordable desking, the individual desks offer the bench impression without restrictions. 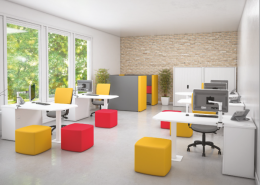 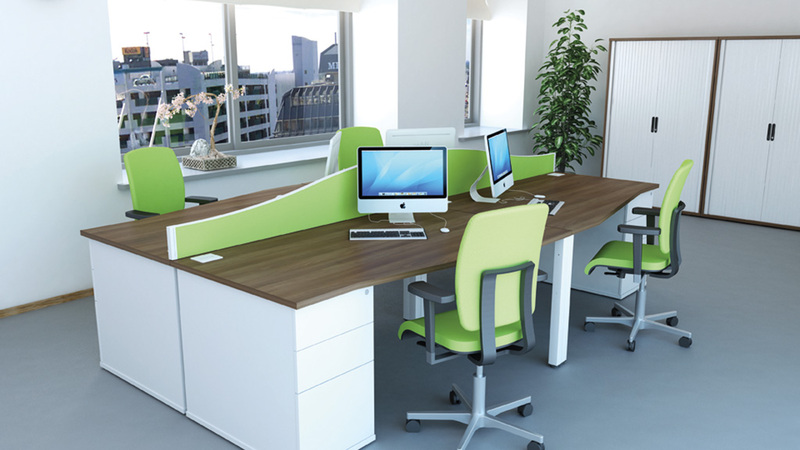 Available in a range of two-tone combinations to suit any office scheme. 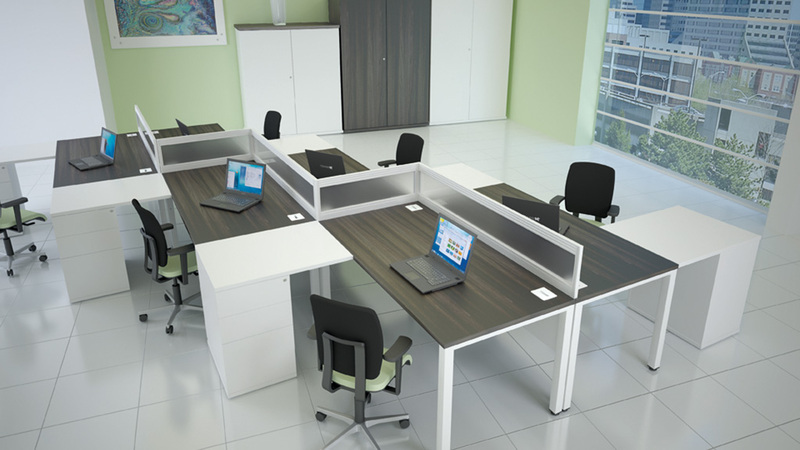 The Pure 120° segment combination desk saves vital floor space when creating groups of 3 workstations due to the integrated 3 drawer pedestal. Accessories give solutions to ensure a comfortable working environment whatever the situation. 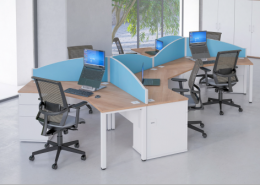 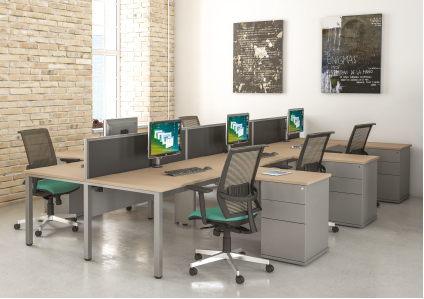 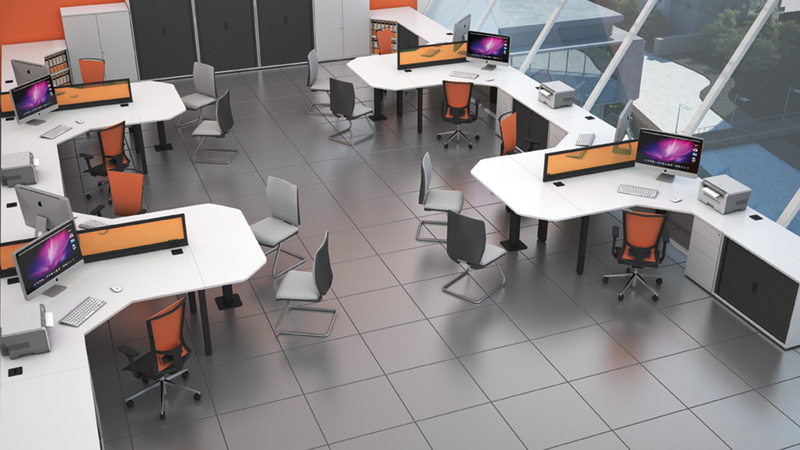 Pure combination desks are supplied with integrated pedestals, cable management is built into the pedestals to keep the work area tidy and organised. 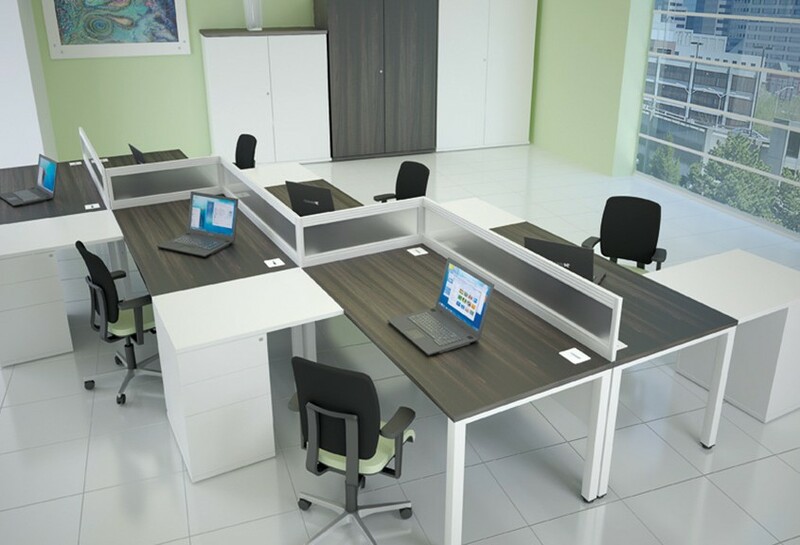 The conference desks provide a compact solution when working in an office environment that required extra meeting space. 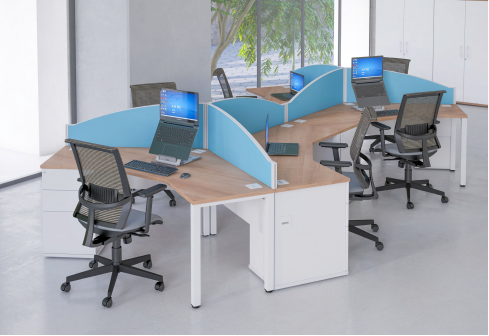 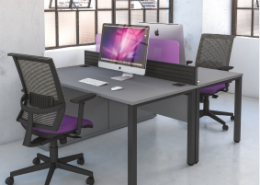 Pure Bench is available as a back to back or single run of a desking offering all the features of a standard bench system. 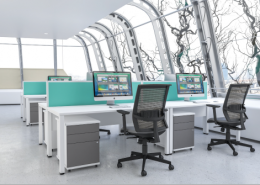 Frame mounted screens add extra rigidity. 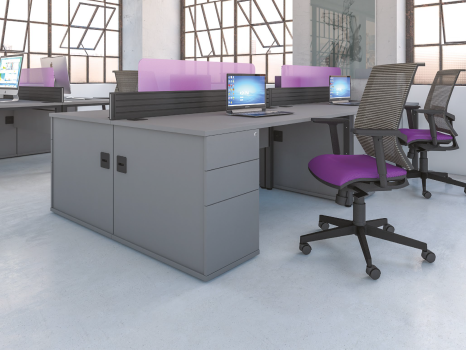 Pure Pedestals are supplied without handles for a smooth look, they can be two-toned with either a contrasting top only or the Colours option of contrasting fascia’s or carcasses.